One thing nice about Atlanta is that just about every cuisine is represented here. Korean is one I have very little experience with though. So when we found out that there was a Korean restaurant that was vegan friendly, the gang had to go invade. 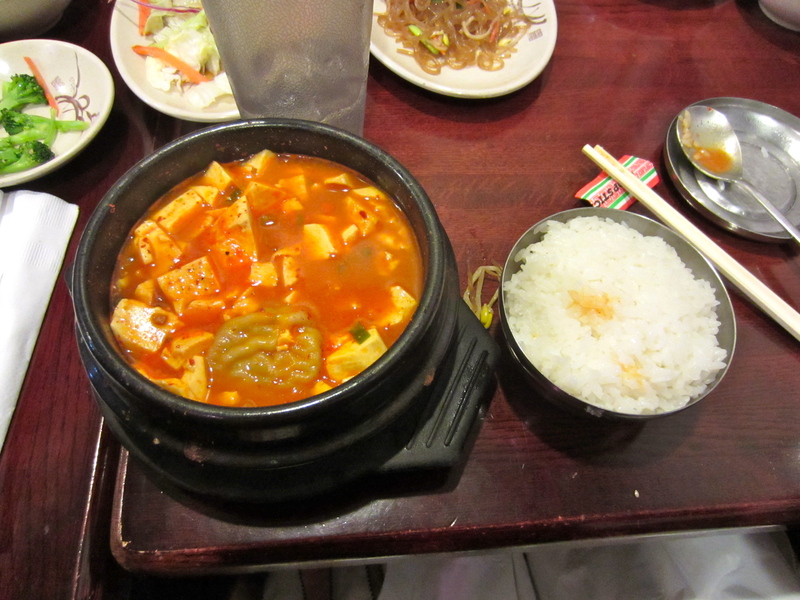 This is from the second visit to So Kong Dong Soon Tofu House. All you have to do is tell them no fish, no meat, no egg, no fish sauce and they will take care of you. 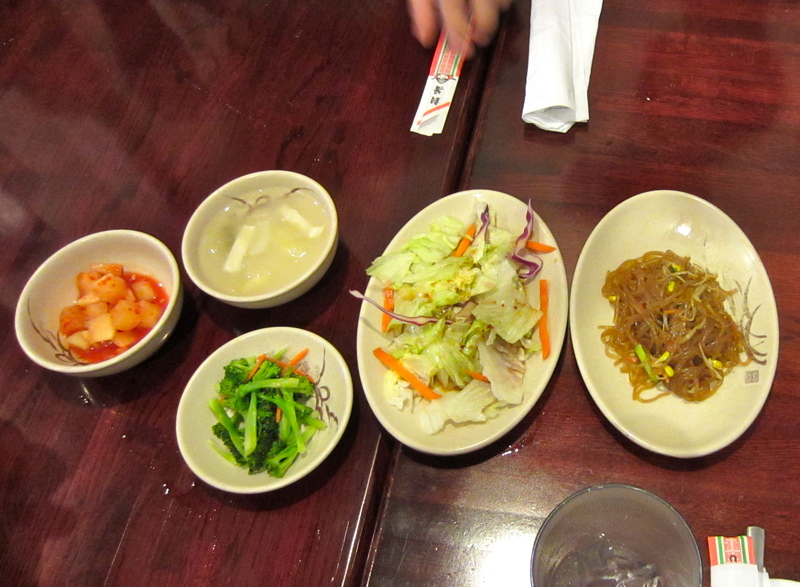 We started with these banchan. Kind of from left to right: salty radish, radish soup, broccoli in sesame oil, salad, noodles also in sesame oil. The salad and noodles were the same as last visit but I think the rest were new. The internet tells me they switch it up regularly so you don’t always end up with the same things. 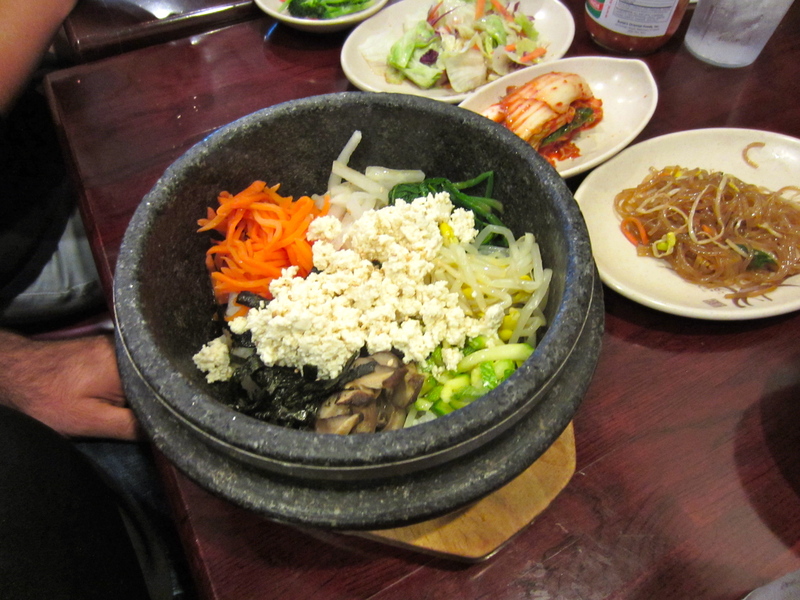 Kevin got the Tofu Bibimbap which is what I had last time. It was pretty good, but I like the noodles better. We shared a Tofu Dumpling Soup. This is the best thing ever. It arrives all bubbling in its caldron. Seriously, next time I’m sick, I will want this. Actually, I want this right now. And I’m already full of dinner. And I got the Acorn Noodles. 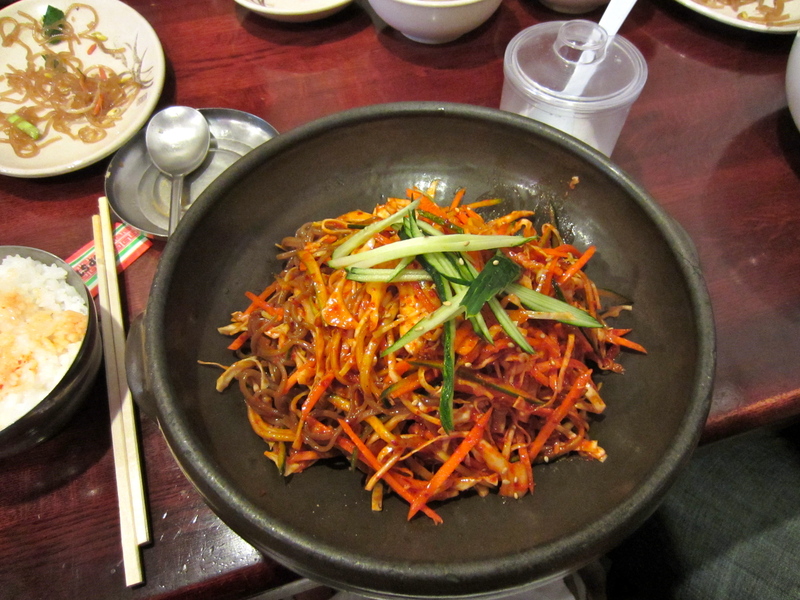 It’s a cold noodle dish with lots of shredded veggies. Love it! I should’ve grabbed a menu so I could give the exact names of the dishes. It’s really helpful to have a guide your first time there like we did. Lisa and David helped us navigate the menu and find the veganizable items.